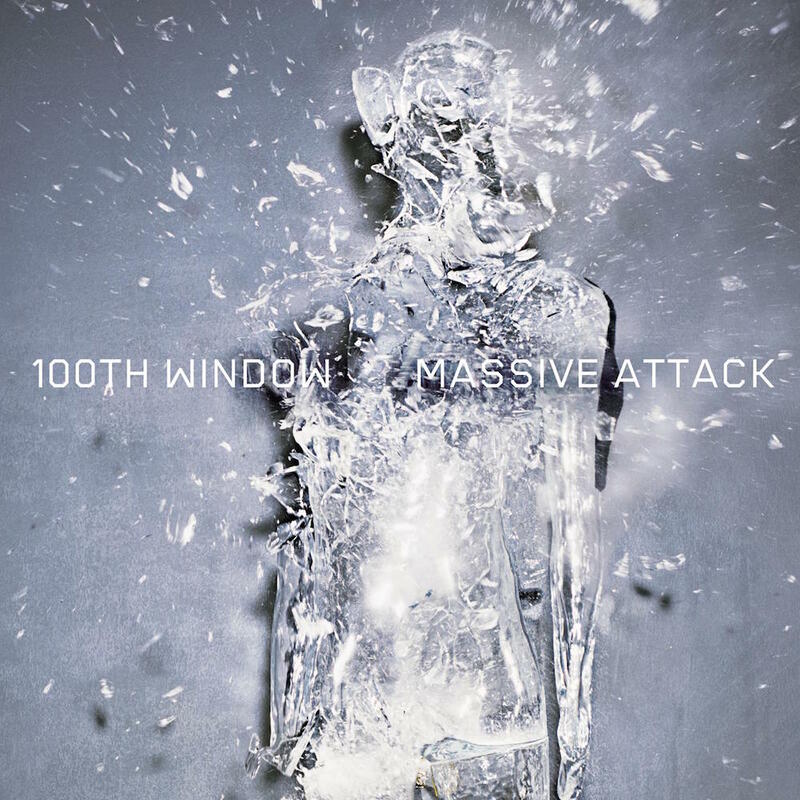 Today’s POP RESCUE from a loveless fate, is the 2003 album 100th Window by the group Massive Attack. The pulse-like spacey synths of Future Proof opens this 9 (+ 1 hidden) track album. The beat is light, the bassline menacing as the breathy vocals of Robert Del Naja (3D) over what sounds like a dreamy and dark Radiohead track. The result is a brooding start to the album. This is followed by What Your Soul Sings, which echoes the beats and percussive sounds of 1994’s Protection album. However, here Sinéad O’Connor takes the vocals and this really is a wonderfully inspired piece of casting. This is the first of three co-writer credits she has on this album. Her soft Irish vocals really help to weave through this soft synth-scape filled song as if it’s like a regional version of a Björk song. Perfect. Sadly this didn’t get released as a single. Regular Massive Attack collaborator, Horace Andy, takes vocals on next track Everywhen. His unmistakeable voice rules here and sounds rich and sharp set over low ringing bass and beats. At times, this song reminds me a mixture of a missing William Orbit track with it’s pulsing synths, and melody-wise Western Winds from Saint Etienne. Whilst this song manages to drift to 7m 37s, it keeps evolving, and Horace’s vocals punctuate it perfectly. Up next is lead single Special Cases, which opens with what sounds like playing spoons on bottles and radiators before a heavy bass kicks in over an almost choral sweeping synth. Sinéad is back, and her soft vocals are a great delicate contrast to bass. This sing reached #15 in the UK chart, which surprises me somewhat given that it’s not really singles chart material (although a great track). I guess that Sinéad and Massive Attack fans made the effort. Second and final single, Butterfly Caught follows this. Feint sounds like chimes in the wind resonate as some haunting voices swirl you in towards the beats. Robert takes the vocals again, with his quiet low rasping voice. There’s some wonderful strings here, sounding again like it’s the child of one of Björk’s tracks from her Homogenic album. This single failed to chart in the UK. Up next is A Prayer For England, which opens with some crackling vinyl, pulsating bass, and twangy guitars over a spacial set of synths again. Sinéad returns, for her third and final appearance, and here her vocals are strong and clear. She’s set against this constant groaning bass and a dreamy set of backing vocals. This is a really nice song and I think that it deserved to have been the second single. Robert Del Naja is joined by Blur‘s Damon Albarn (as 2D from Gorillaz) on next track Small Time Shot Away. Initially i’m reminded a lot of Björk’s Hyperballad track, until Robert’s mumbling breathy vocals come along. After about 3mins 20s you can hear Albarn offering some ‘uhhhh‘ vocals that are heavily affected. This track does build though, and by 5mins it seems to pick up a fresh sense of direction that leads it towards it’s 7m 57s deadline. Pace picks up for Name Taken, as Horace Andy returns. This time, whilst his vocals remain as sharp and rich as ever, he’s used sparingly in this dreamy layered track. ‘Fade away…’ he repeats towards the end as the song drifts along to it’s conclusion. It’s a nice warm background music track. …leading into about 20 seconds of silence before some synths begin to warble like the music to an 80s bad Dr Who special effects compendium. This track is apparently known as LP4, and it’s the final, and hidden track, of the album. There are no vocals on this track and it is simply the synth warbling along – it’s quite nice as background music and almost gets hypnotic. Over all, this album is actually pretty good. The appearance of Sinéad O’Connor is perfect, and her vocals really sit well on all three tracks. Horace Andy’s unmistakeable voice reminds you that you’re still listening to Massive Attack rather than the extras from a ’90s Björk album. If you’re a Damon Albarn/Blur/Gorillaz fan, then there’s nothing here for you. You’d strain to hear Albarn’s contribution. Robert’s vocals aren’t very strong, and whilst one track might have been fine, his appearance on several prove that he’s not particularly a vocalist. The catchiness of Tracey Thorn or Shara Nelson is missing, but through the rich musical layers, and Sinéad’s contribution, this album manages to stay on the right side of good. Where are Massive Attack now? It’s no secret that this album caused ructions amongst Massive Attack. Of the three core members of the group, only one – Robert Del Naja (3D) worked on it. Despite it reaching the #1 slot, and it’s lead single giving them one of their higher charting tracks, the album seems to remain as a dark day in their history. Even the charting single, Special Cases, doesn’t appear on their 2006 contractually obliged Collected ‘Best of’ album (although is present on the DVD), which feels like more of an agreement with the other members to forget about the whole thing. They saw another moderate hit with single Live With Me from that album. The group, having reformed, released their most recent single Splitting The Atom in 2009. It stalled at #64. They released their 5th studio album Heligoland in 2010, which reached #6 in the UK chart and was certified Gold. They embarked on an international tour in the summer of 2014, and are due to perform in September 2015 at artist Banksy’s Dismaland. POP RESCUE COST: 99p from a Cash Converters store. Posted in 2000s, Massive Attack, Sinead O'ConnorTagged 100th Window, 2003, 2D, 3D, album, Björk, Butterfly Caught, Damon Albarn, Gorillaz, Horace Andy, Hyperballad, Radiohead, review, Robert Del Naja, Special Cases, Thom YorkeBookmark the permalink.